After World War II, Tucson experienced burgeoning growth. People were drawn here by the mild winters. By 1950, Tucson's population reached 120,000, and it doubled to 220,000 by 1960. In 1952, the world-famous Arizona-Sonora Desert Museum was founded. Four years later, the Tucson Air National Guard Base was activated. During the 1960s, the Old Tucson Studios theme park, El Con Mall, the Tucson International Airport, the University of Arizona College of Medicine, Reid Park Zoo, and Pima Community College were established. In the 1970s, the Tucson Community Center and the Pima Air & Space Museum were established. Around 1984, Channel 12 began broadcasting. In the 1990s, Biosphere II was built, and in 2005, the Jewish History Museum and the Southern Arizona Transportation Museum were dedicated. 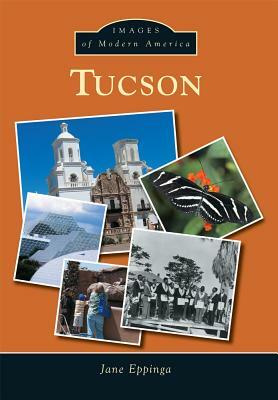 Tucson has stood the test of time, surviving the difficult periods and thriving during the good times.